One of the best feelings in the world is when you have just booked a holiday, and you have it all to look forward to. An even better feeling is when you book a bargain holiday, including your extras, such as airport parking, and you don’t have to worry about a thing until it’s time to start packing. Everything is taken care of, and your countdown can truly begin. The first time I booked a bargain of these epic proportions was to Turkey. I’m not sure whether it’s this bargain that got me hooked or the place, but I tend to lean towards the place, as quite frankly, I can totally understand why people return year after year. Even with getting to the terminal factored in, however you choose to do it, you’ll still find your holiday cheaper in this part of the world. I regularly use Luton Airport parking, where I often combine it with a cheap flight, and the bargain puts a huge grin on my face! Check out facilities at your airport, add them onto the cost of your holiday, and you’ll still see a low end price tag. Sun, fun, mystery, allure – Turkey has it all, and the even more attractive part of it is the low price of holidays to this part of the world. For a family, all inclusive, you can grab yourself a holiday much lower in cost compared to the Euro zone, and you will be guaranteed sun and plenty of happy memories. The south coast of Turkey is the most famous for its sunshine beach resorts, with destinations such as busy Marmaris, Icmeler, Kusadasi, Alanya, Side, Calis, and Gumbet, to name a few. They all have one thing in common – a damn good holiday choice. There is something in the air that you can’t quite put your finger on, and whether you’re travelling as a family, group of friends, solo or with a special someone, you’ll find Turkish people will bend over backwards to make sure your holiday is the best it can be, always with a smile and a joke. Be it splashing in the water parks, sailing around the coastline on a boat trip, exploring the countryside on a jeep safari, discovering ancient ruins at Ephesus, heading over to Greece for the day, relaxing on a beautiful beach, taking part in exhilarating water-sports, or haggling for bargains on the markets and bazaars, you will experience that special something, and have a constant smile on your face. Night-life is fantastic, especially in the large resort of Marmaris, yet also family friendly wherever you go, with the choice of wild, sedate, or something in-between in all resorts, and you’ll get a true taste of Turkish culture if you head off to an authentic Turkish restaurant, with low cost meals, and an extremely full stomach! There is a saying that you get what you pay for, and whilst in some situations this is true, where Turkey is concerned, it’s certainly a myth. For the price tag, you will probably have one of your best holidays in memory, and it will be all the better for spending less before you even jet off. 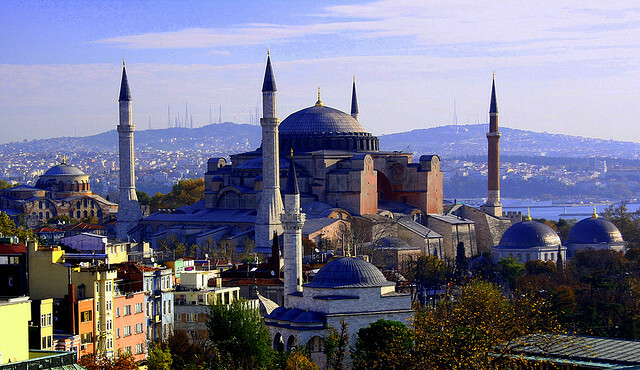 Come and experience the mystery and allure of Turkey, it certainly won’t break the bank. ← What Does An All-Inclusive Vacation Really Include?